Guitar players may not recognize Joe Carr's name at first, but his face is probably familiar. That's because he appears in over 20 instructional guitar videos ranging from country to western swing, bluegrass and even heavy metal! Add to these his videos on mandolin, fiddle, banjo, and ukulele and Joe may be the most recorded video music instructor anywhere. Joe is a self-taught musician originally from Denton, Texas who started guitar at age 13, inspired by the folk musicians of the 1960's. A few years later, he was hired to play guitar in Alan Munde's internationally known bluegrass group, Country Gazette. Over the next six years Joe recorded 3 group albums, numerous sideman projects and produced his own critically acclaimed solo guitar album, Otter Nonsense. Joe left the Country Gazette in 1984 and joined the music faculty in the unique commercial music program at South Plains College in Levelland, Texas. He continues to perform in duo with former Gazette leader and South Plains College colleague Alan Munde. "Alan and I have a great artistic communication that leads us into many new areas of music," Joe says. In addition to two albums on the Flying Fish label, Joe and Alan have published an award-winning book about West Texas Country Music called Prairie Nights to Neon Lights from the Texas Tech University Press. 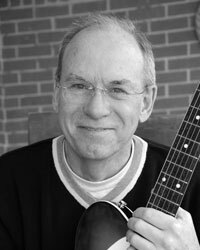 Joe is also a regular columnist for Flatpicking Guitar magazine and writes for several other periodicals as well. This volume from the popular �School of Country Guitar� series covers basic chords and accompaniment styles. Featured throughout are fills and runs made famous by the first generation of recorded country guitarists. Playing in thirds and other lead guitar tricks are fully detailed lick by lick by veteran country guitarist Joe Carr. These lessons cover all of the common open chords and basic accompaniment patterns, introduces the Carter Family style and crosspicking, explains the "Nashville Number System" and presents rhythm and beginning lead styles! Joe Carr Plays "Alabama Jubilee"
This volume from the new series "School of Country Guitar" includes a from-the-ground-up explanation of one, two and three string guitar bends - a basic essential technique in today's hot country guitar style! A variety of licks in the string bending and western swing lead styles are also included. Important chords and useful scales in thirds on all string pairs are presented by Joe to unlock the secrets of creating unique, original country guitar solos! Joe Carr Plays "Welcome To West Texas"
This comprehensive DVD course, which now includes all 3 Nashville Guitar volumes on one DVD, was designed for guitarists who want a more complete understanding of country style guitar. Joe Carr teaches the fundamentals of country guitar including major, minor, and 7th chord forms, major scales and flatpicking techniques. Other topics include the Nashville number system, pentatonic and blues scales, 6th and 9th chords, pedal steel licks, swing chords, the echo trick, country rock lead styles and much more! Flatpicking Guitar Magazine columnist Joe Carr presents an overview of the exciting bluegrass flatpicking style! Beginning with basic chords and strum patterns, this book/CD combination covers Carter Family style, fiddle tunes crosspicking, floating, improvisation, and much more! Special sections address pick direction, pentatonic scales, dropped D tuning and how to read standard music on the guitar. Songs include: "45 Trains, Arkansas Traveler, Beaumont Rag, Bill Cheatum, Billy In The Lowground, Black Mountain Rag, Blackberry Blossom, Bonaparte Crossing The Rhine, Cripple Creek, Doc's Rag, Fire On The Mountain, Fisher's Hornpipe, Flat Brokedown, Flatpicker's Mountain Breakdown, Old Joe Clark, Flopped Eared Mule, Forked Deer, John Doherty's Mazurka, Miller's Reel, Ragtime Annie, Red Haired Boy, Saint Anne's Reel, Sally Goodin, Salt Creek, Soldier's Joy, The Old Spinning Wheel, Tripping Upstairs, Wagoner, Whiskey Before Breakfast, White Rice, Wildwood Flower". In this comprehensive study, Joe Carr presents all the major country guitar styles in tablature and standard music notation. Beginning with basic chords and strum patterns, this book/CD combination covers flatpicking, fingerpicking and all of the major country lead styles including rockabilly, swing, and modern electric country. Special sections explain The Nashville Number System, string bending and beginning lead guitar. More experienced players will find a wealth of new material in the sections on lead, scales and chords, crosspicking, harmony and even a tele-style banjo imitation solo! Get that authentic, professional "Texas" western swing sound with these all-time best western swing guitar licks from master country guitarist Joe Carr! In this book/CD combo, Joe breaks down 60 great western swing guitar licks and teaches you how to use them in common chord progressions. Also included is a section on scales and chords. Features transcriptions of Doc Watson's great guitar flatpicking recordings from the early 1960s until the 1990s taught by Joe Carr. In addition, detailed explanations of special techniques such as Carter Plus soloing, using three note patterns, and numerous crosspicking patterns are included. Exercises are designed to isolate specific licks and patterns, making them easier to learn. Moveable phrases and licks are identified so that players can introduce Doc's unique sound into their own playing. Songs include: "Pretty Little Pink, Cluck Old Hen, Beaumont Rag, Little Sadie, Fiddler's Dream, Whistling Rufus, Ragtime Annie, Liberty Rag, Lonesome Ruben, Dill Pickle Rag, Careless Love, Nashville Pickin, Tammy's Song, John Hardy, Pickalong, Bill Cheatham, Rainbow, Alabama Jubilee, June Apple, Billy In The Lowground, Way Downtown, Tennessee Stud, Banks Of The Ohio, I saw A Man At The Close Of Day, Interstate Rag, Stone's Rag, Tucker's Barn, Bury Me Beneath The Willow, Whiskey Before Breakfast". In a good western swing band, even though the song might be a simple one with few chords, the guitarist can change chords every two beats, providing a driving and harmonically interesting background for the singers and instrumentalists. This lesson teaches Texas fiddle backup, western swing backup, swing rhythm, chord embellishment, turnarounds, Columbus Stockade Blues and three note chords. Tunes include: "Sally Goodin, Leather Britches, Durang's Hornpipe, Sally Johnson, Dusty Miller, Cowtown, Westphalia Waltz, Kind of Love, San Antonio Rag, Ballad Blues, Ida Red, Corrina, Beaumont Rag, Lily, Sugar, Time / Just a Closer, South, Pipeline". Unlock the secrets of hot "take-off" lead guitar as played by some of the greatest western swing players of all time! Western swing master Joe Carr has transcribed numerous great guitar solos from the Bob Wills band and other greats and breaks them down note by note into useful licks that can be used to improvise original hot solos! Includes solos by western swing legends Eldon Shamblin, Jimmy Wyble, Leon Rhodes, Junior Benard (often called the first rockabilly guitarist) and others. The online audio uses classic western swing song progressions and presents the licks at a medium, learnable pace.